You've seen the Throwback Thursday hashtag on Facebook, yes? Where everyone is encouraged to post old photos of themselves and/or their friends from years gone by? If you've seen my Facebook feed, you might have noticed that I respond every week with a blatantly and deliberately wrong-headed approach. I've "mistaken" it for Throneback Thursday with an image from Game of Thrones, Throatback Thursday with a diagram of the back of the throat, and Throwback Thor's Day with an old comic page featuring Thor. I've posted about things I was going to do next week, and I wrote one post completely backwards citing that it was kcabworhT yadsruhT. I've generally just made fun of the concept without actually participating for a couple of months now. The reason I've done that is because the meme is just an exercise in nostalgia. Which I generally don't care for. That might seem an odd statement coming from someone who's got thousands of comic books from before he was born, and many more thousands representing decades' worth of reading new adventures every month. From someone who writes an ongoing column in a magazine about a comic book creator who died twenty years ago. But it should be noted that nostalgia and history are two very different things, with very different purposes and goals. History is about studying the past, in order to understand the present and, hopefully, the future. By examining what has already happened, one can begin to see how trends ebb and flow, and can gain a sense of how those trends might be reflecting in contemporary events. A prime example is when Superman was killed back in the 1990s. Even back then, it was common for heroes to "die" only to be resurrected later. The mainstream media picked up on the "event" and it was in the news for quite some time. 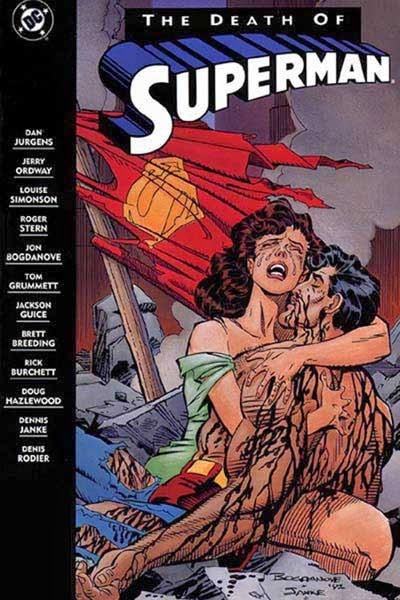 Except anyone who had been reading comics for at least the two or three years prior knew Superman's death was temporary at best and simply a marketing ploy to sell a few more books. That is using history to understand the present and predict the future. Nostalgia, on the other hand, is just remembering for the sake of remembering. It's not really thinking about the past, and certainly not applying it to the present or future. It's just a mental playback in an attempt to revive the (generally positive) emotions from those old events. 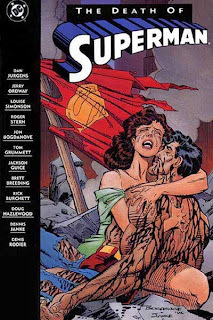 Using my death of Superman example, some people might remember getting and wearing black armbands, and how everyone in their local comic shop talked about it and, somewhat ironically, it happened to be beautiful day out. So everyone was in a good mood, and it was actually kind of fun for the whole shop to celebrate a hero who many had written off as dull and static years earlier. And that may well have been a great time, and remains as a fond memory, but it does nothing to inform the present, much less the future. It's just a memory. It's not that I abhor nostalgia; there's nothing wrong with occasionaly remembering something fondly. But you literally cannot live in the past. Regardless of how great your life used to be, or how much you loved it back then, you currently have to deal with the here and now. Spending so much of your time trying to bring back old sensations from time gone by prevents you from focusing on what's happening today, and what that might mean for tomorrow. Time moves quickly enough as it is, and the more time you spend remembering how things used to be, the more of the present you miss and, once you do return to it, you'll find that much more has passed you by. By all means, dig into the archives, but be sure to think about them as well, and see what you can learn about today while you're looking up what happened yesterday.